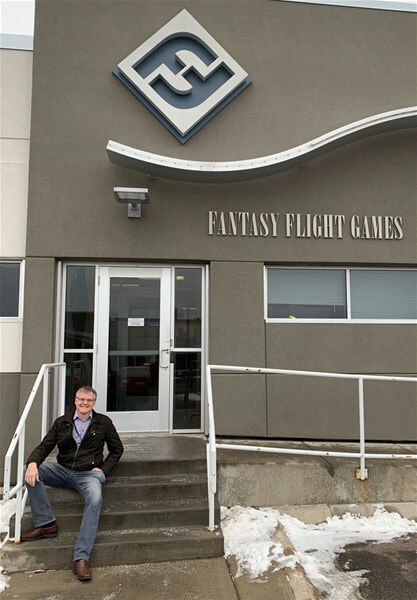 Christian T. Petersen, founder of Fantasy Flight Games, has left the company, effective the start of the year. It's hard to think of a gaming industry without Fantasy Flight. They've been quite a force for a very long time (at least as long as I have been a gamer, I've known about them). And many of you out there have your favorite game made by FFG. Of course, we wish Christian well in whatever his future endeavors may contain. Since I founded Fantasy Flight some 23-plus years ago, I’ve had the great honor to work in the business of publishing tabletop games. During that time, I’ve met hundreds and hundreds of wonderful people in the tabletop industry: colleagues, suppliers, retailers, distributors, and many more. As I sit here in my office on this last day of the year, on this last day of my tenure at FFG/Asmodee, my thoughts are of appreciation to you, the player, who made this place and this great life possible. Thank you for bringing home our "stories and dreams in boxes" and for making them your own. Thank you for your suggestions, for your passion, and for the voices of encouragement. Thank you for your patronage. Thank you for playing. With my shelves empty, walls naked, boxes packed, I leave now humbled and grateful for my journey with FFG. I don’t turn off the light behind me, for those that remain will carry on the fantasy flight. In every respect they are the most amazing and experienced crew of game makers I could ever have hoped to gather in the same place. I sincerely hope that you’ll extend to them the same trust and patronage as you did to FFG during my time. Personally, I cannot wait to see what they will do and play what they will make. As for me, I’ll see what lies behind that bend in the road just ahead. I hear that new stories and dreams are found there.